Serving Tray for Beaverhead Brewery from Dillon, Montana. The central figure being a beautiful woman with flowers in her bright red hair. 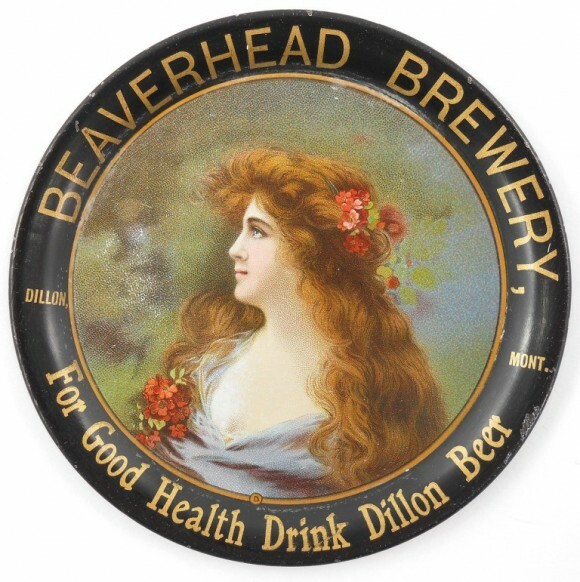 The text along the bottom states For Good Health Drink Dillon Beer.